Jump ring, imitation nickel-plated brass, 8mm round, 6.2mm inside diameter, 18 gauge. Sold per pkg of 100. Item Number: H20-5290FD Have a question about this item? 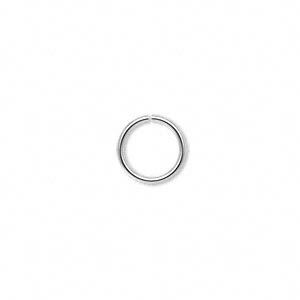 Jump ring, imitation nickel-plated brass, 5mm round, 3mm inside diameter, 18 gauge. Sold per pkg of 100. Jump ring, imitation nickel-plated brass, 5.5mm round, 3.5mm inside diameter, 18 gauge. Sold per pkg of 100. 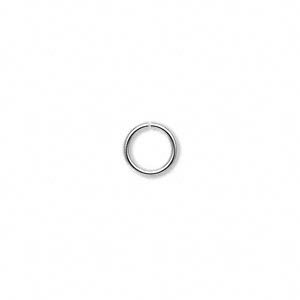 Jump ring, imitation nickel-plated, 9mm round, 7mm inside diameter, 18 gauge. Sold per pkg of 100. Jump ring, imitation nickel-plated, 10mm round, 8mm inside diameter, 18 gauge. Sold per pkg of 100. 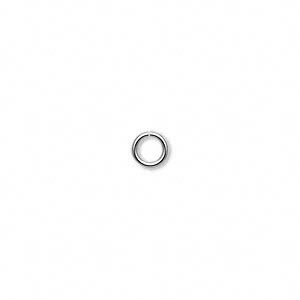 Jump ring, imitation nickel-plated brass, 8mm round, 6.4mm inside diameter, 20 gauge. Sold per pkg of 100. 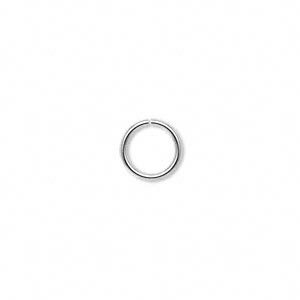 Jump ring, silver-plated brass, 8mm soldered round, 6.2mm inside diameter, 18 gauge. Sold per pkg of 100.